Fish goujons always go down well with children. And once kids have learnt the skill of coating they can use it to coat other ingredients like chicken. Add extra flavour to the flour or breadcrumbs with some crushed garlic or herbs, or maybe even a pinch of chilli flakes? Get creative! Follow a recipe; follow food safety & hygiene rules; tidy away; crack an egg; beat an egg; use measuring spoons and cups; chop using bridge/claw safely; coat e.g. goujons; use the hob (with adult supervision). Measuring cups and spoons, 3 shallow bowls, fork, knife, chopping board, frying pan, serving plate. Cut the coley fillets into goujon sizes chunks. Put the flour, egg and cracker “breadcrumbs” into 3 separate shallow bowls. Coat the fish firstly in the flour, then the egg, and then the breadcrumbs. Heat the oil in a frying pan and fry the goujons for about 15 minutes until golden. 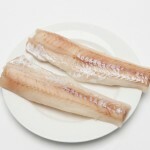 Coley is an excellent source of protein, as well as vitamins A and D. All white fish is low in fat and high in protein. Scientists recommend eating at least two portions of fish a week. 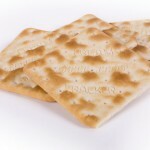 Cream Crackers are a good source of complex carbohydrates which give us energy.